Most of us are aware of the five interlocking rings that are the Olympic symbol. But I suspect that many are unfamiliar with the motto that goes along with that symbol. 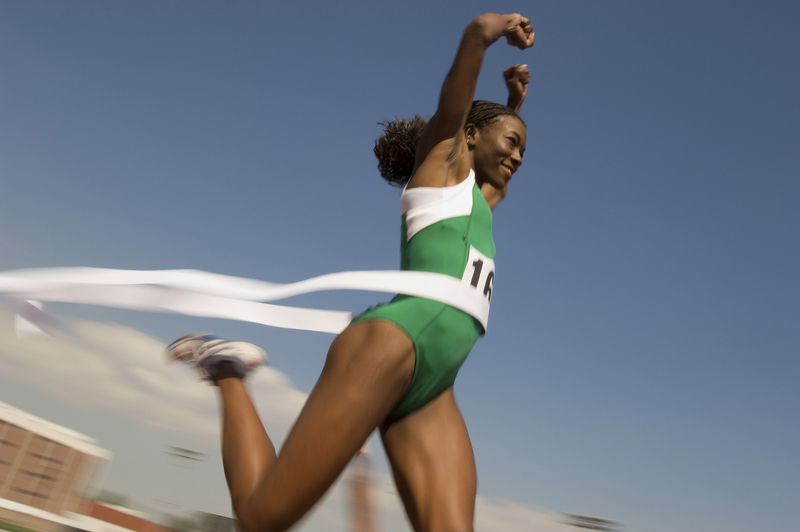 It’s Citius, Altius, Fortius, which is Latin for "Faster, Higher, Stronger.” Participants have hardly completed the games before they’re already planning for the next one. And their training is aimed at letting them go faster, allowing them to leap higher, strengthening muscles that are already strong by normal standards. They never stop improving. And that should also be the goal of each of us who writes, whether we’re as-yet unpublished or the author of numerous books. 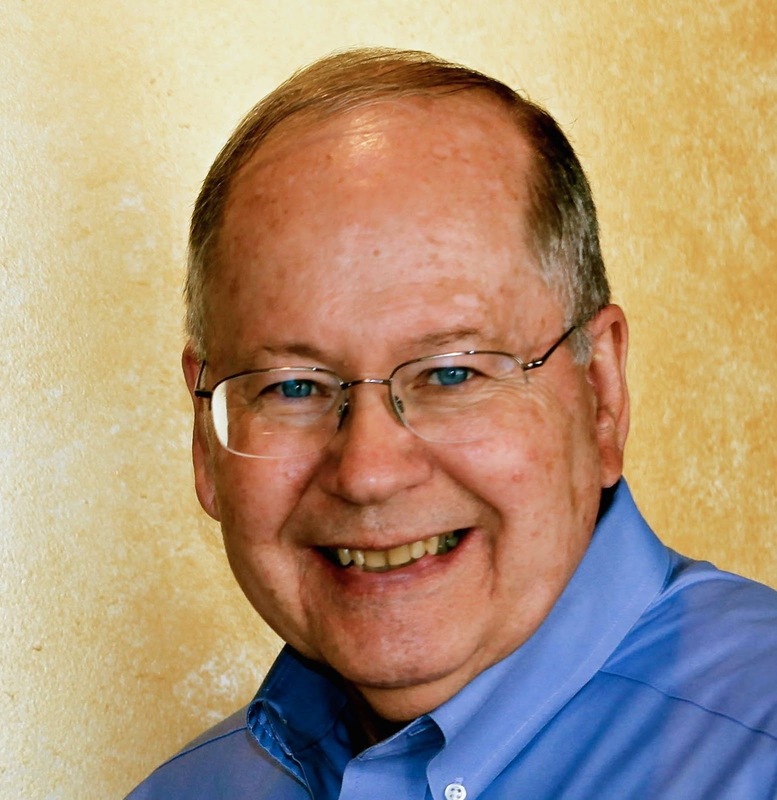 At one of the first writing conferences I attended, I had the temerity (or stupidity—take your choice) to approach an editor and pitch my book to him. Probably to get rid of me, he told me to submit the whole thing to him and he would read it. I didn’t know any better, so I wasn’t surprised when I got notification from him that he was taking it to the Pub Board. Those of you who know how the publishing world works will be amazed that an unpublished writer with so little experience would have such a thing happen. I wasn’t. I took it as a usual thing and was genuinely surprised when I was notified that the Pub Board turned down the book. Looking back on the event, I wonder that my book got this far. It still resides on my hard drive and will probably never see the light of day unless I rewrite it. Why did this happen? Because I didn’t know enough about writing when I composed it. I didn’t even know enough to realize how much I had to learn. I needed to become much more proficient at the craft. Eventually I did, but I did it by learning the fundamentals, studying, practicing, and striving to constantly improve. And I’ll try never to stop. When I was practicing medicine, I initially attended conventions and conferences to learn more about my specialty. Later, I was fortunate enough to be in a position to lecture at the same conferences, but although I was a teacher I made it a practice to continue attending the sessions held by others. Why? I realized that medicine was constantly evolving, and my level of knowledge was never as high as I needed it to be. It was best for both my patients and me if I continued to constantly learn. Doesn’t the same thing apply with writers? Just as we expect our physicians to keep up and improve, don’t our readers expect that our next book will be even better than our last? When I attend a writer’s conference, I always want to leave with one or more pearls that I can apply to my writing. Perhaps I learn a way to make transitions between scenes smoother. Maybe it’s a method for displaying what my protagonist really wants and the danger he or she faces if that doesn’t happen. Whatever I can glean, I try never to stop learning. When I had completed my most recent novel, GuardedPrognosis, I proudly showed the finished product to my wife, who is my first reader. She’ has always been both my biggest fan and my severest critic, and she pulled no punches with her assessment of this one. I was proud of my opening sequence and the story arc that followed, but she pointed out that it failed to get her attention (and would likely do the same with my readers). Instead, she suggested an alternate story arc which would be timely and intriguing. It required my essentially rewriting about half my already-completed novel, and every author reading this knows how much we hate that. But I did it. And it worked. Why did I do it? Because I could see that I was resting on my laurels, instead of seeking to write a better novel. I’m not an authority on the poetry of Alfred, Lord Tennyson, but I think the last line of his poem, Ulysses, is applicable here. Ulysses and his companions have done it all, so to speak, but he exhorts them not to rest on their laurels. They are to keep on until the end— “To strive, to seek, to find, and not to yield.” Every writer should have those lines above their desk. Every book, even the ones turned down by a publisher, should be better than the one before. To do less is unfair to everyone concerned…including the author. Dr.Richard Mabry is a retired physician, now writing “medical mystery with heart.” His novels have garnered critical acclaim and been finalists for a number of awards. He and his wife live in north Texas, where he strives to improve his golf game and his writing. Good morning, Dr. Mabry! Thank you for the encouraging words and the reminder that we need to grow as writers. I think that's one of the things I love most about writing--that there is ALWAYS something new to learn. Something new that can be incorporated into our writing to better make a story come alive and touch a reader's heart. Good morning Dr. Mabry. I always enjoy reading your posts. Thanks for sharing! Doc, welcome back! What a great post. I'm the same way at conferences and try to attend as many workshops as possible. I love to learn! My husband is my first reader, too. He recently had to tell me, ummm, this isn't ready yet. I was thankful he was honest! Yes, but there are times it puts a strain on a marriage. (But it shouldn't). Good morning, Dr. Mabry!! It's so great to see you here. I love Alfred Lord Tennyson's Ulysses. I could never remember his name so when I got a dachshund I named him Alfie, for ALT. I wanted to have his full name on an outfit he could wear, because since he was a dachshund it would have fit lol. Sadly, that never happened. But, in college we had to recite a poem and I chose Ulysses. That poem holds a special place in my heart. As far as striving, I started running a few years ago. I'm still trying to find ways to run faster. My chihuahua runs faster than me, which is saying something. My goal for this year is to run a half marathon. I'm up to 6 miles now. I've got several more miles to strive for! And due to your post, I just went and found a run schedule to get me to the 13 miles I'll need. Thank you! Love your books, but haven't read this one. Will have to go check it out! WOW, Sally! Training for a half marathon! I'm impressed.You have more self-discipline and UMPH than I do!!! I'm up to 6 miles already, so hopefully I can do it. I'm like the slowest runner eeevvveeerrrrr, but my son gets on me for saying that. There's a 10K coming up I'm going to run. It is just so peaceful getting out there and running. Nobody bothers you (you can't wash dishes and run lol), I don't have headphones in, just me and God and running and breathing and listening to the birds and dodging insects. Thanks to all of you who've commented so far (and to those who've read without commenting). Glad to be here in Seekerville and connect with all you folks. Thank you, Dr. Mabry. This is good stuff and I love the sports metaphor. I often liken writing to Christianity in general and to marriage. If you're too complacent in any of these, you're not "getting it." We should be growing as Christians, we should be evolving as marriage partners -- and we should always be learning as writers. When you reach a certain point, the learning becomes the fun part! One of them, anyway. And you honestly won't want to put out a "bad" product, or one that's less than it could be. Gotta go, off to pick blueberries with my daughter. One more thought and I'm not going to get theological here, I know we don't do that, but it involves free will. We grow -- in marriage, as writers and as Christians -- by the choices we make. We're not robots. Good point,Kathy! Choices are the key. Just HAD to stop in and say HI to Dr. Mabry! Love his books and have read them ALL! I am still in the pre published stage and I am finding more and more that there is so much involved in the whole process. I had no idea when I began this journey what all was involved. I am still learning and striving to grow and improve with each new day. Thanks to everyone, including those like Jackie who just stopped by to say "Hi." As Wilani says, there's a lot to the process, and you don't find out all of it until you're involved. But I wouldn't change it. Words of wisdom, Dr. Mabry. There's a learning curve before we master the craft and then we must become familiar with the publishing industry. I too didn't initially comprehend the magnitude of this fustrating process until involved in it. Still sriving to improve with each new attempt. Thank you for this post and all the comments. Sorry I missed this yesterday, Doc. Wonderful insights and words of wisdom! Glad your lovely wife was willing to be so honest with her suggestions. After several years going solo, I'm working with a critique partner to polish an older manuscript, and I am definitely appreciating her objective eye. You're right--we must always strive to improve with each book and never rest on our laurels. Very well put. Thanks for the reminder and encouragement. Thanks for your words of wisdom, Dr. Mabry. I'm not a writer, but I think we can apply them to many other areas of our lives. Your new book sounds wonderful. Medical suspense is a genre I enjoy. Thanks for being here at Seekerville, Dr. Mabry. As a reader and reviewer, I try to improve my reviews each time I write one. 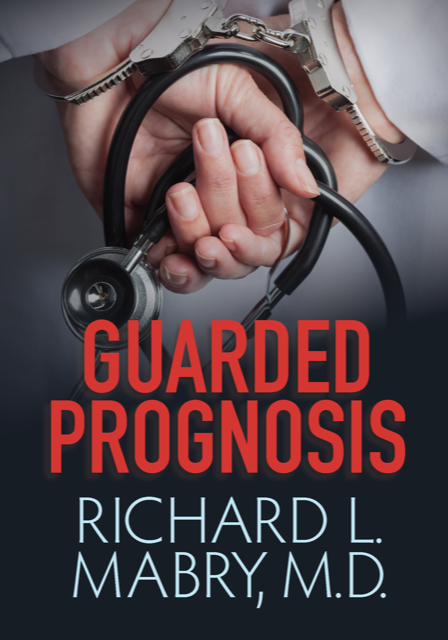 By the way, I love your books and hope for the opportunity to read and review Guarded Prognosis! Thanks for your sage advice, Richard. I can always pick up something from your blog or interviews. I am a reviewer, so I strive to get it right. I love reading your books. I think you married one smart cookie! Blessings! I appreciate all the nice comments. I intended to give away a copy of my novel, but it got lost in the shuffle (that's never happened to you, has it?). So Ruth tells me it will occur this weekend. Thanks. I discovered Dr. Mabry about 2 yrs ago. I devoured about 6 books in a month. I don't have this one yet but looking forward to picking it up at my local bookstore. After my first book Dr. Mabry went on my top 10 favorite authors' list. Now I have all of his books pre-ordered. I'm a huge fan of Christian suspense and Dr. Mabry continues to amaze me with his expertise and nail biting mystery/plot and action. So far all I've left on book reviews are 5 stars. Has never disappointed me.